Any doubt that English sparkling wines can achieve genuine, world class quality has surely been blown away long before now. Under the winemakers’ belts are decades of producing seriously good wines, now from well-established vineyards, and with real winemaking expertise in the cellars. Even Champagne has gotten in on the act, with Taittinger leading the charge to establish an operation, planting vineyards on the chalky soils of Kent. Neighbouring estate, Hush Heath, has been producing some terrific wines for several years now. 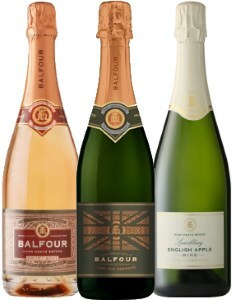 I first came across their Balfour Brut Rosé at a press tasting many years ago and reviewed it very positively, but it is a consistent estate now with a portfolio of sparkling wines, including sparkling apple wines, and still wines, with the fruit coming from the estate’s own extensive vineyards and orchards. Hush Heath is owned by Richard Balfour-Lynn (above), a businessman with a formidable track record in hospitality and property, at one time owning the Malmaison and Hotel du Vin chains. 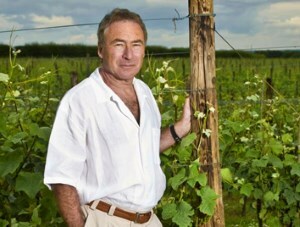 The Tudor manor and substantial property that is now Hush Heath was acquired in 2001, when the first vineyards were planted. The first wine released in 2004 was the Rosé, reckoned to be England’s first sparkling rosé. A state-of-the-art winery was constructed in 2010 in what appears to be an ambitious and homogeneous business, with extensive visitor facilities, events spaces and indeed a virtually on-site pub as they own the Goudhurst Inn which adjoins the estate. These wines – and apple wines – were impressive, with fine quality and a charming blend of approachability, and finesse. I am not a huge fan of cider by and large, but was surprised by how much I enjoyed the two apple wines, which were definitely ‘appley’ but in a delicate and quite subtle way, no doubt the fermentation with Champagne yeasts and long secondary ferment in bottle accounting for that. (2018) This sparkling apple wine is made from fruit grown in Hush Heath's Kent orchards (Cox, Bramley and Egremont Russet), with secondary fermentation in bottle just like their other sparkling wines, and using Champagne yeast. It has an elegant cider apple nose, lightly nutty and with a rosy, ripe apple skin fruitiness. In the mouth there's an echo of sweetness just to offset the bracing acidity, and the apple flavours push through cleanly and brightly. Most enjoyable for a change. (2018) Made with Bramley, Cox's and Russet apples from the estate, just like the white Sparkling Apple Wine, but with the addition of strawberry and blackcurrant, mostly for colour I suspect as the flavours are resolutely appley. There is a hint of extra strawberry sweetness perhaps, but the sharp apple acidity ensures this finishes feeling dry and fresh. Equally enjoyable as its white partner, and lovely summer drink with 8% alcohol. (2018) A really nice, crowd-friendly traditional method blend of the three main Champagne grapes, aged for a minimum of one year in Hush Heath's cellars. It's fruity and bright, pear and juicy red apple and seemingly quite sweet: certainly a higher dosage than some here, but with excellent citrus acidity and some nice creamy and lightly toasty character from the lees ageing. (2018) Still one of the stars of their line-up, the vintage rosé first brought Hush Heath to the wine world's attention, and this 2013 was tasting really good: delicate aromas of small summer berries, just a touch of pastry-like creaminess, but fresh and inviting with its pale, light colour. In the mouth the mousse is fine and persistent, and that dry redcurrant fruitiness fills the mid-palate, and stylish lemon and lime acidity extending the finish. A blend of 44% Pinot Noir, 48% Chardonnay and 8% Pinot Meunier aged three years on the lees.